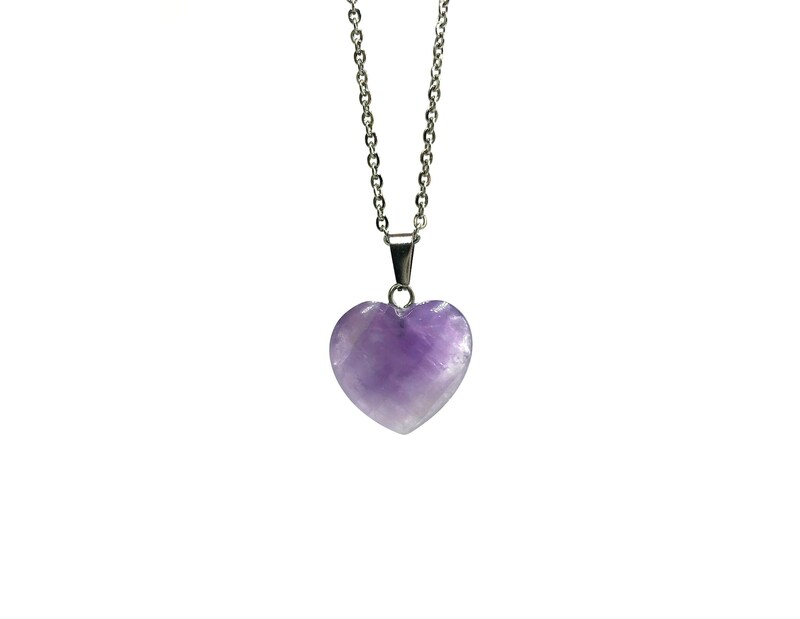 Amethyst stone may appear slightly lighter or darker than photo shown. The natural variation of the crystal is evident in this piece. Each necklace is 14 inches long with a 5 inch soldered extender. Chain is stainless steel, lead and nickel free. This looks so much more beautiful than the picture shows. I'm giving it as a gift to a friend and I can't wait for her to have it! Also, the added gifts were a really nice surprise!